This is a photo of an active galaxy that was observed with ISAAC during the programme being carried out. 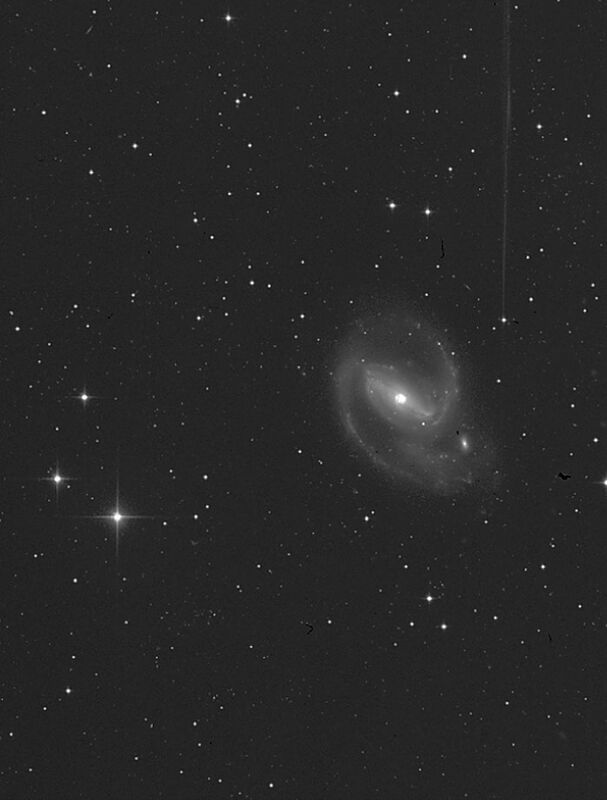 It shows NGC 1097 (R-band). The bar-like structure and the luminous centre where the Black Hole is located is visible. The distance to this galaxy is approximately 55 million light-years; the local scale is indicated in the photo. Technical information: this image with NGC 1097 is a reproduction from the ESO LV archive, extracted via the Hypercat facility. 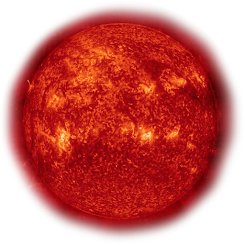 It is based on a 2-hour photographic exposure in the R-band (Kodak IIIa-F emulsion + RG630 filtre) with the ESO 1-m Schmidt Telescope at La Silla and covers a field of about 35 x 35 arcmin 2. North is up and East is left.